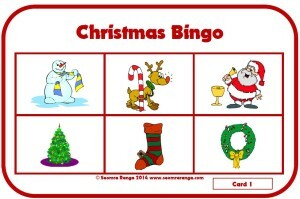 This bingo game focuses on the theme of “Christmas” and it features typical Christmas images. 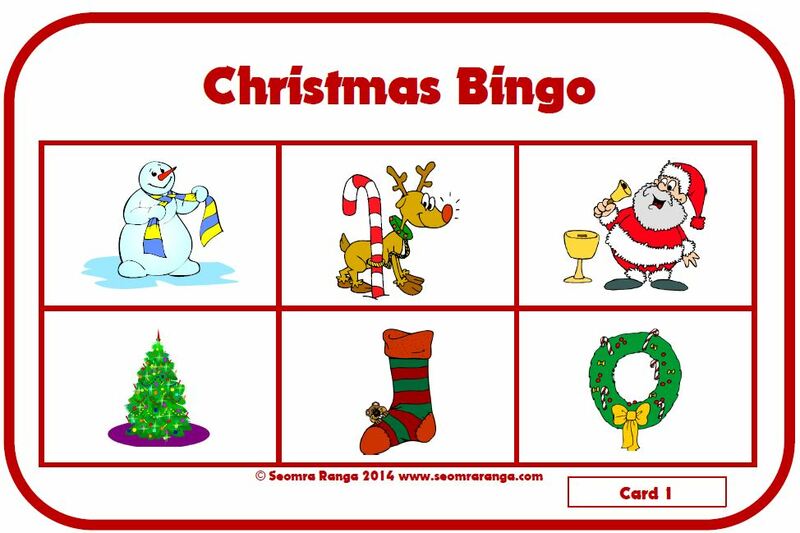 It is aimed at a group of six pupils, so it would be useful for Station Teaching or for Aistear work on the theme of Christmas. Print out and laminate sheets 1-6 for the pupils. Print and laminate multiple copies of sheets 7-8 and cut into individual cards. Place the deck of cards upside-down in the centre of the group. Each pupil selects a card from the top of the deck. If they have that image on their card, they place the selected card on top of it. The first pupil to cover all six images on their card wins the game. Alternatively, just print one copy of pages 7-8, laminate and cut up into cards. Place the deck of cards in the centre of the group. When a pupil selects a card with the same image as one on their own card, they cover their image with a counter or small cube and return the card to the bottom of the deck.